The flowers are mixed in with herbs and presented at different levels. 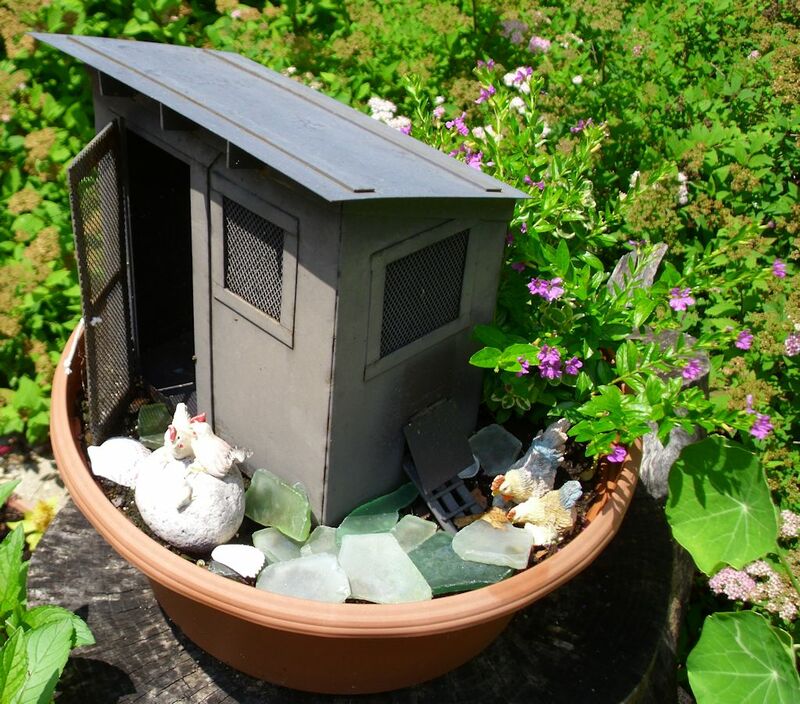 The tiny pink flowers of the fairy garden work well with the figurines. 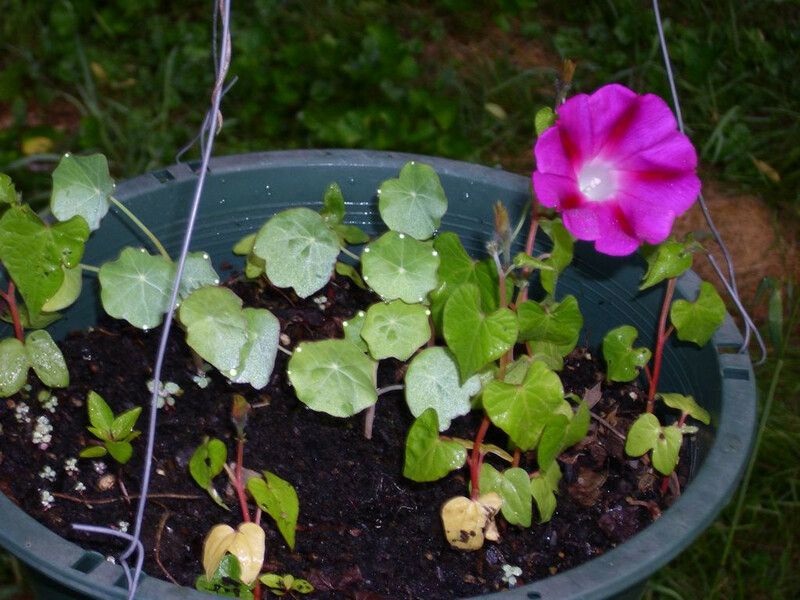 Mixing the morning glories and nasturtiums provides all day color. 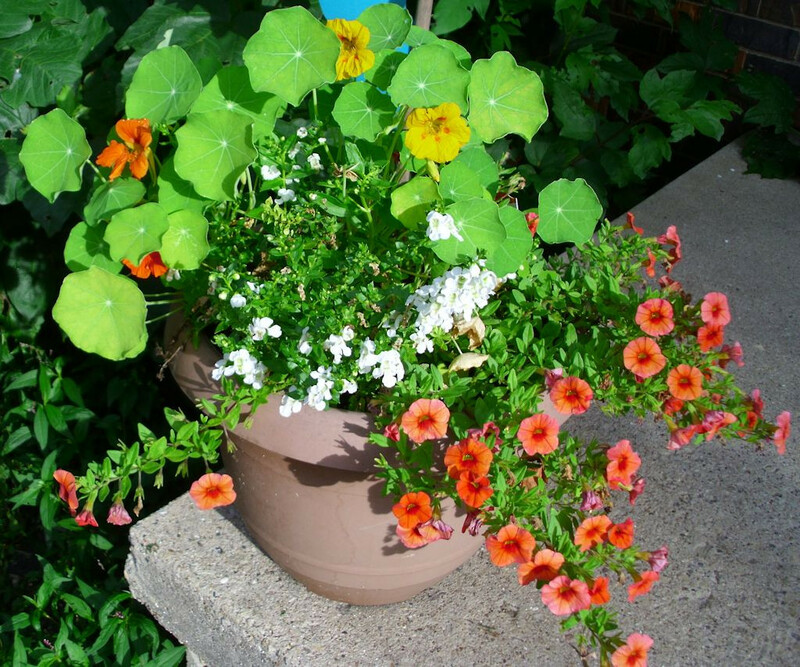 Wave petunias mixed with other flowers can provide an interesting arrangement. 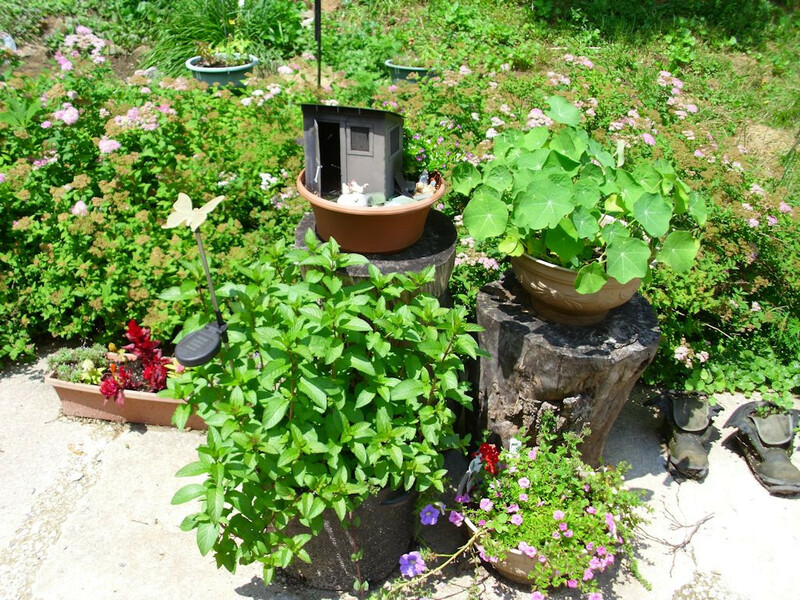 Color variations and textures differentiate the two front porch pots. 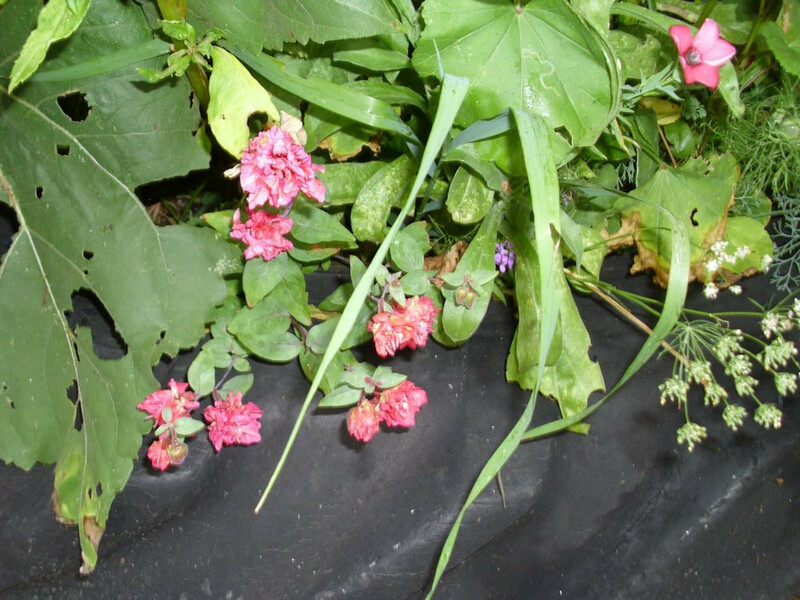 Organization is nice, but sometimes you need a little creative chaos, which is where my tire flowers come into play. I simply sew seeds from a mixed flower packet and enjoy whatever comes up. Sometimes I’m not sure about the names of the flowers. 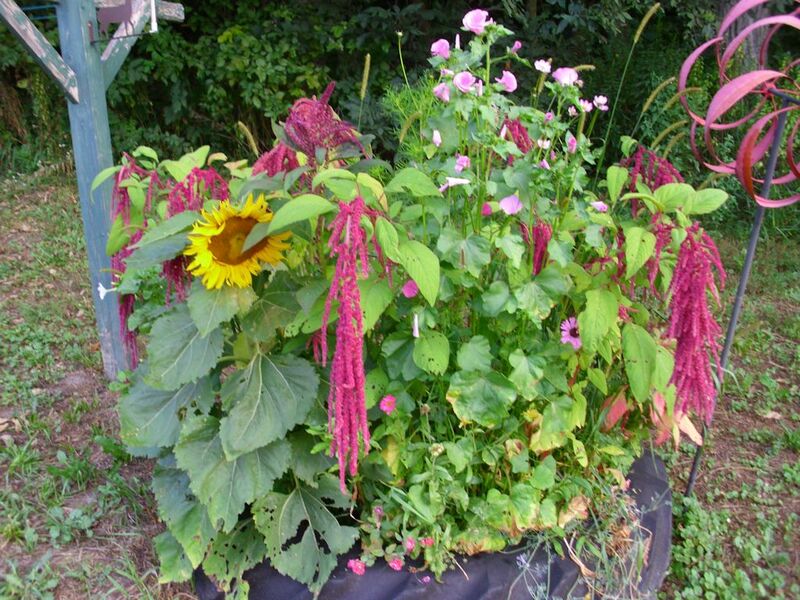 This year I did end up with a sunflower and something interesting called love lies bleeding (the prominent strings of flowers are the love lies bleeding). Interesting mixes of flowers can be quite pretty. Sometimes the smallest flowers are the prettiest. Of course, there is a lot more to see, but these are some of the highlights of the flowers for this year. 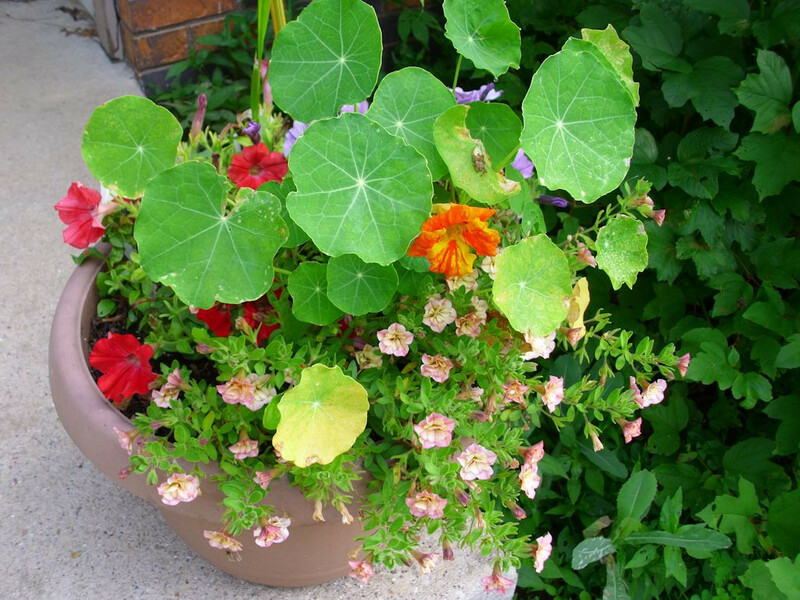 The point is that summer lends itself to some beautiful arrays of flowers to please the eye (and sometimes the palette, nasturtiums, among other flowers, are edible). Make sure you plant plenty of posies to keep your heart happy.